Why do users generate content? 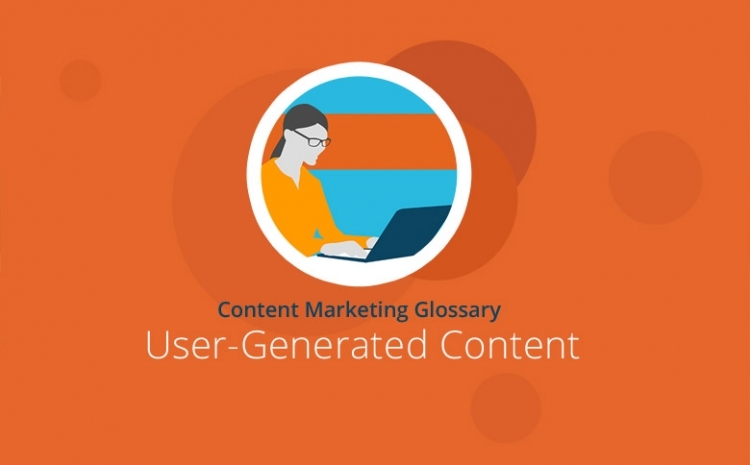 User-generated content (UGC), or user-driven content, is content created by customers and/or site users themselves rather than a company or website owner. User-generated content can include: images, reviews, comments, blog articles, dictionary contributions and video clips. User-generated content is online content published by users. The advent of user-generated content signals a reversal of the usual one-way mode of communication to instead become a partnership exchange with users. For many years, website owner-generated content has been disguised as user-generated content in the form of user comments, but with the arrival of the social web, user-generated content has become more diverse and more common. Social media channels like Twitter, Facebook, YouTube and Pinterest have created many opportunities for users to create content on any topic. For example, users now write blog articles, shoot video clips, share infographics and draft designs. Reviews, restaurant ratings, comments and lexicon contributions, such as Wikipedia, are also examples of user-generated content on the social web. User-generated content can also serve as a strategic brand management tool. For example, companies can invite users to create content for their brand (as is the case of advertising competitions). Companies also can encourage users to submit proposals and ideas for new products via crowdsourcing – an approach that persuades users to identify more closely with the brand and the company. Additionally, users who are particularly impressed can invite other users to join them. This referral-based “word of mouth” type of earned media represents the very best form of advertising a company can get. Besides its function as a strategic tool for brand management, user-generated content can also be utilized for more specific online marketing purposes. This method takes advantage of the fact that search engines such as Google allow user ratings and comments to influence its rankings – Google, for example, features product evaluations in its SERP listings. Thus user-generated content can lead to a vast improvement in SEO rankings. There are various factors driving them, and HubSpot’s Joanna Alter has researched what exactly encourages users to engage in creating these types of content. The indications are that content creation actually appears to offer motivation as it gives consumers the power to express their thoughts. Meanwhile, Wikipedia, the online encyclopaedia, has compiled more than 40 million user-generated entries entirely free of charge. Many companies have a loyal following prepared to offer constructive feedback and suggestions for improvement, or happy to act as brand ambassadors on social media. However, within the context of advertising campaigns it is customary to provide an incentive for user-created content by offering some form of prize or reward. In the McDonald’s fast food chain’s campaign “Burger Showdown,” users created their own burgers using a list of up to 10 ingredients. The details were also distributed via social media, and McDonald’s allowed their social media community to vote and decide the winners. Starbucks U.S. launched their White Cup Competition, which gave customers the opportunity to submit original designs done on the classic white Starbucks cup. The most popular design was then printed on their reusable white cups and distributed nationwide. The game maker Nintendo allowed users to develop their own levels for the Super Mario game. Coca Cola launched their “Share a Coke” campaign, which gave consumers the opportunity to create personalized Coca Cola products. This innovative campaign lead to a much-needed boost in sales. However, user-generated content also poses a risk because control is surrendered to the user. This can be especially problematic on social media – as demonstrated by the problems encountered by McDonald’s during their #McDStories campaign . McDonalds had to dismantle the campaign within a mere two hours of it going live. The hashtag was used to bash the company by users worldwide. For this reason, companies need a well-thought-out strategy and appropriate resources to quickly deal with any negative comments. User-generated content can lead to legal violations, in the areas of copyright or personal law for example. One problem is the extensive anonymity granted to social web users. This can, for instance, allow users to succeed in uploading images and videos onto platforms even though they have no usage rights or may well be promoting illegal content. With user-generated content, companies and media sources no longer act as the sole content creators, but instead allow users to supply content on almost any topic, and in various formats. User-generated content ranges from Facebook posts and Tweets to lexicon contributions and text, images or video clips on blogging platforms such as Tumblr. Likewise, users can share photos and graphics on the social web using platforms such as Pinterest and Instagram and can also upload self-produced video footage on dedicated video platforms such as YouTube and Vimeo. Other kinds of user-generated content are created by users on behalf of brands. And here, companies generally prompt their consumers via social media campaigns, which usually include rewards and incentives. Users have the opportunity to become more attached to the brand. Moreover, user reviews and comments also play an important role in search engine optimization and often lead to better SEO rankings.